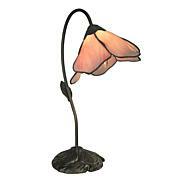 At approximately 29" high, this lovely lamp is sure to be the focal point of your room. 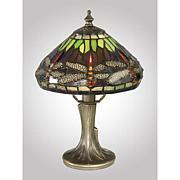 An updated representation of Tiffany's classic dragonfly shade, the iconic dragonflies with scarlet bodies and iridescent wings seem to flit about over a wide bottom border of multicolored spring blossoms. 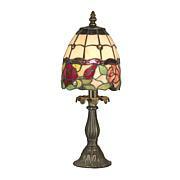 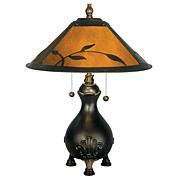 Perfect for home or office, this distinctive lamp features Tiffany craftsmanship. 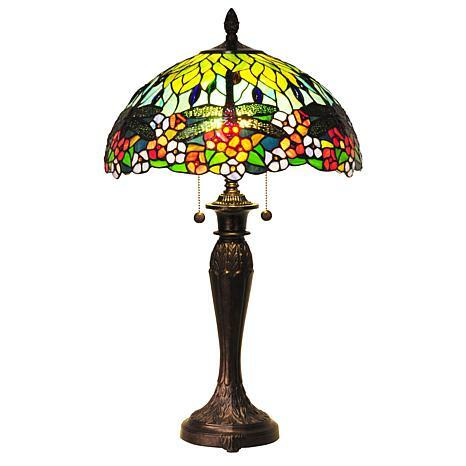 Enjoy it knowing that it will never go out of style.